Originally from King George, VA, Kathleen moved down to the North Carolina area in 2014 with her long-time boyfriend. She has since gotten married to her husband Joseph and they both own a 2 year old, sweet Labrador mix named Riley. She attended Saint Francis University in Loretto, Pennsylvania where she received her bachelor’s in Psychology while she swam competitively for the Division I team all 4 years. 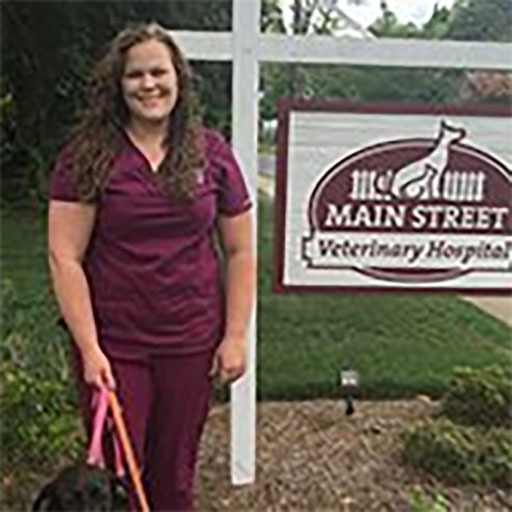 She recently graduated from veterinary technician school at Northern Virginia Community College where she participated in the online distance program. 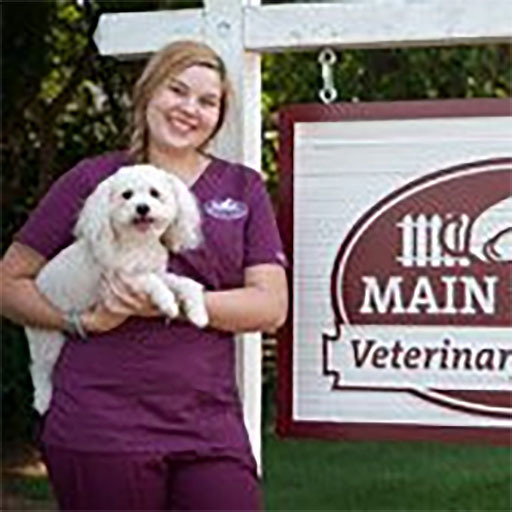 She is expected to take the Veterinary Technician National Exam this summer to become a registered veterinary technician. She enjoys coming into work every day and seeing the bond owners have with their animals as well as learning more about animal behaviors and their influence on people. In her free time she enjoys exploring the outdoors by biking, kayaking, swimming and more. Brianna Cataldo is 22 years old and from New York. She has 5 years of kennel experience and has worked for Pet Paradise and The Meadows Bed n Biscuit. 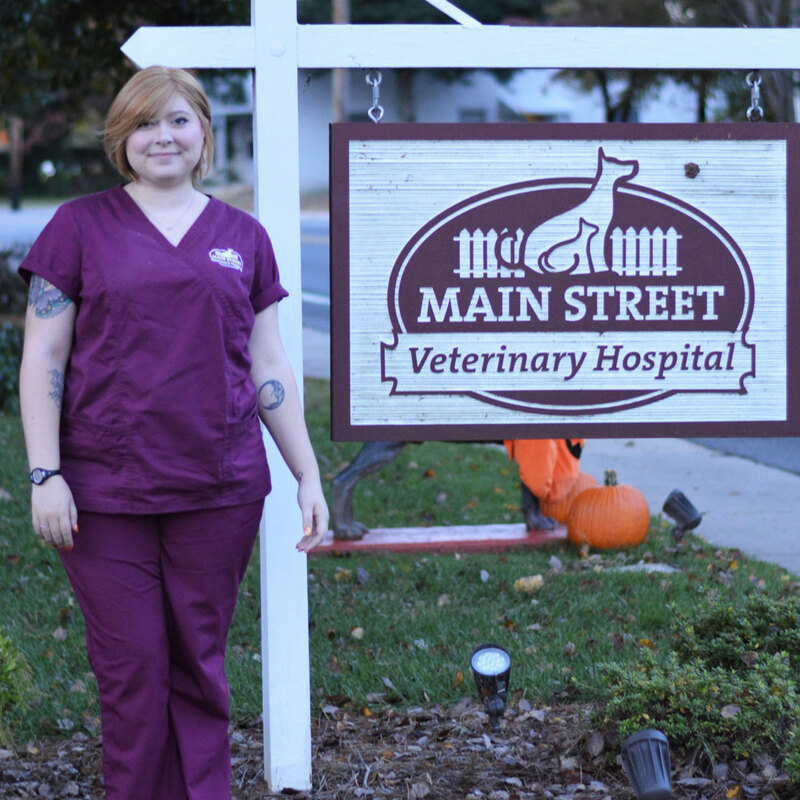 She plans to go to school to become a Veterinary Technician. In her spare time she enjoys reading, hiking and singing. She had a Black lab named Lincoln, two guinea pigs (Bentley and Wilson), a bird (AJ) and a turtle (Stinky). Growing up in Davidson, NC Liv has always had a passion and love for animals. Liv has spent most of her time here in the Charlotte area, but also shared a home in Misenheimer, NC while studying psychology and music at Pfeiffer University. She now continues her studies by taking online classes primarily focused in psychology and business. She currently resides in Davidson with her husband Kurt, their two cats - Pete and Kasey, and dog - Luna. In their free time they enjoy watching movies, exploring new places, and visiting the local zoos! 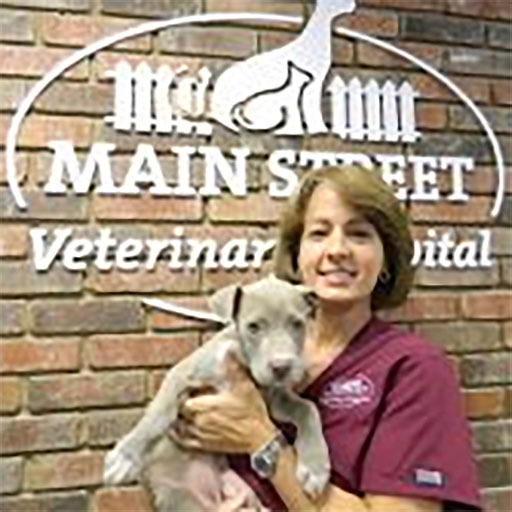 Linda has always had a passion for animals and earned her registered technician degree from Gaston College in 1999. She gets her love of nature from her grandfather. 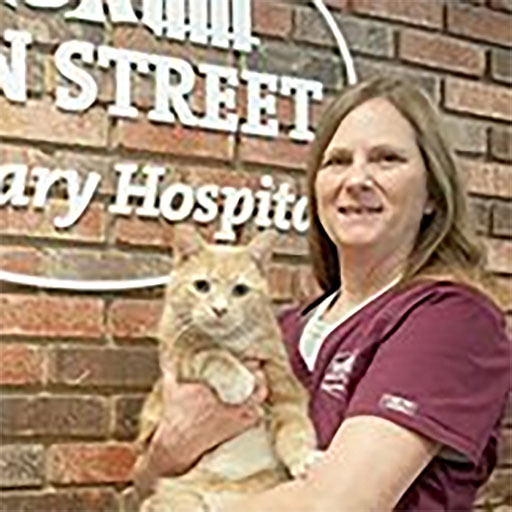 Known as the “cat whisperer,” she does everything possible to make sure our feline patients are comfortable. 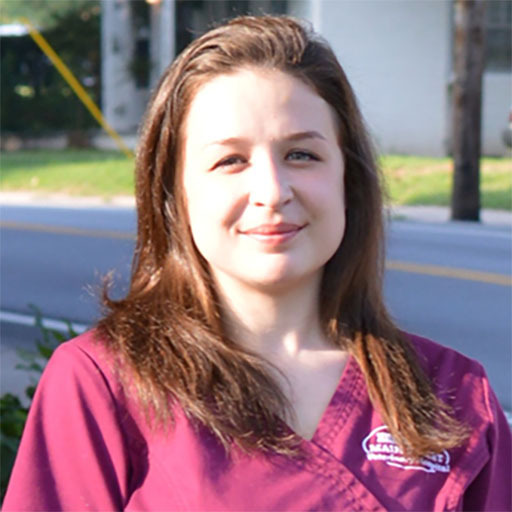 She is an experienced dental and surgical technician but also enjoys helping our furry patients in the exam room. Linda lives in Iron Station with her husband whom she met while volunteering at the Carolina Raptor Center. They share their home with six cats. On their days off they enjoy hiking, photography, gardening and canoeing. She currently volunteers for Meals on Wheels. Haley joined our Vet Tech Staff in August 2015. 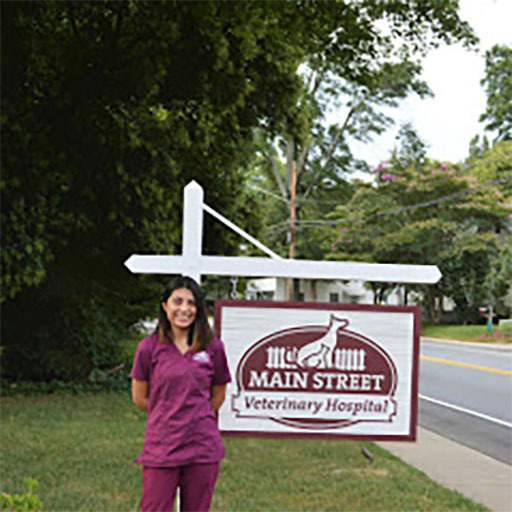 Haley comes to us with over 8 years of veterinary experience. She was born and raised in Mooresville, but fell in love with Davidson. Recently she purchased a home in the area because she loved it so much! She has her own three legged yellow lab mix named Phoebe and two cats, Marley and Pumpkin. In her free time she enjoys house work (crazy right? ), cooking, hiking, traveling, and spending time with family, friends, and of course Phoebe. 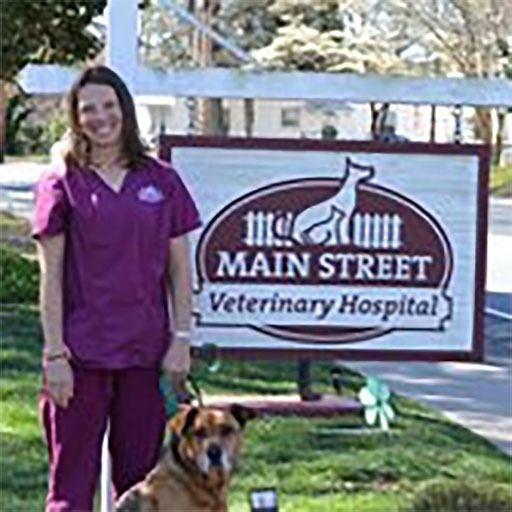 Her favorite aspect of the veterinary field is building long lasting relationships with our clients and their pets. She even pet sits for quite a few of our clients and loves the bond it forms between her and the pets. 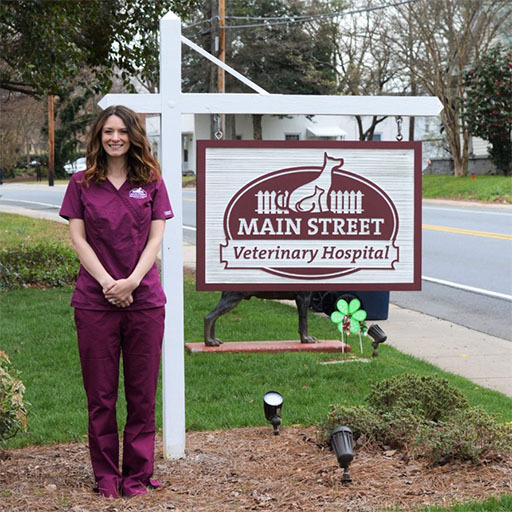 Prior to working in the veterinary field, she fostered for the Lake Norman Humane Society. She is currently our kennel manager and one of our veterinary technicians. She feels that she is right at home in this field and can’t imagine doing anything else. 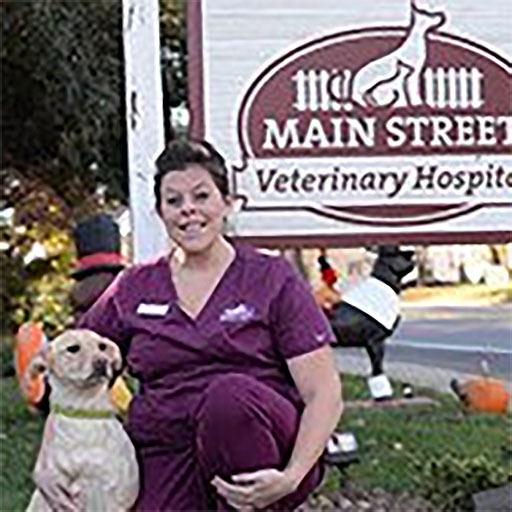 Now 14 years into a career as a customer support specialist, including 8 years in veterinary medicine and animal services, Colleen Heincelman’s first job involving service and animals was of a very different nature. Prior to her life in Lake Norman, Colleen served the community in Florida as a law enforcement officer and was a certified Mounted Police Officer. Colleen still loves horses and, when she not enjoying time with her family, she is out riding the trails. Colleen lives in Huntersville with her husband of 20 years, Mike. They have two children and two boxers. Kristan Honeycutt is 21 years old and is from Marietta, GA. She has been working in the animal industry for over 4 years and has been a Veterinary Technician for almost 2 years now. She has 3 dogs named Bella, Bueller and Cody. She enjoys hanging out with her family and boyfriend, watching Netflix and going to the movies. She is currently working on her undergraduate in Animal Science with a goal of someday going to vet school to become a Veterinarian! Born and raised in Boca Raton Florida, Dena grew up with many animals and immediately became an animal lover at a very young age. Dena always knew she wanted a career involving animals and animal care. In 2005 Dena moved to North Carolina and has worked in multiple daycare and boarding facilities. Dena proudly rescued her first dog, a pit mix named Kane. 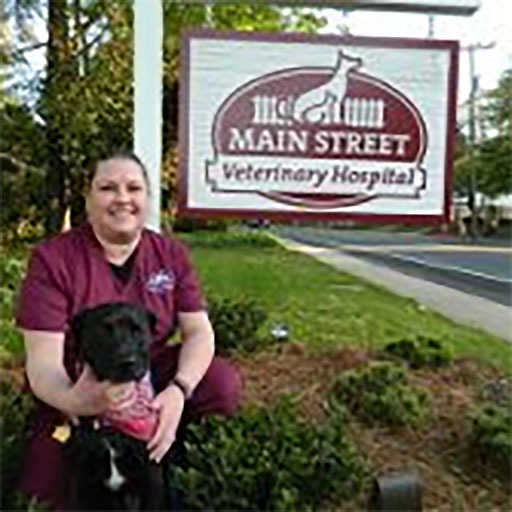 In 2016 Dena earned a degree in veterinary assisting through Ashworth Colleges online program. She is currently working on earning her veterinary technician degree. While Dena is not working she enjoys spending time with friends and family, going on hikes/walks with Kane and traveling. Karen has loved animals small and large all of her life. She grew up in Connecticut, graduated with an environmental science degree from UNC-CH, and has traveled along the East Coast working with horses. She teaches horseback riding lessons and rides as time permits. Last year Karen and her husband Robby welcomed their first baby, Michael. He joins their two rescue pups Jack and Tucker, several horses, and most recently, six Rhode Island Reds. Everyone enjoys spending time together outside, camping and going to the beach especially. Before living in Charlotte, Sara was born and raised in Charleston, West Virginia. Sara graduated from Marshall University with a Bachelor’s in Business Administration. She moved to the Charlotte area in August 2015. Growing up, the only pets Sara ever had were fish & a rabbits. When she moved to the area is when she soon found her love for dogs when she adopted a little Black Lab named Opal who soon stole her heart and became her best friend. For Opal’s birthday in May 2016, she received the present of a sister – an Australian Shepherd/German Shepherd mix named Luna. When Sara’s not working, she’s spending time with her boyfriend, Tony Tapia, going to the movies, exploring new parts of Charlotte, or going on walks with their pups and going to dog parks. Kristin is our newest receptionist to join the Main Street Team. She is also a new member of the Cornelius community, where she moved with her husband, Alex, from Atlanta, GA. With change comes opportunity and adventure, and this was her goal upon calling Cornelius home. She knew that working with animals and animal lovers alike was the path she saw for herself and couldn’t be more excited for the future now that the opportunity to learn and grow in this field has arrived. Before moving to Cornelius, Kristin and Alex sold their home in Georgia, bought a camper, and traveled across the United States for three months with their adventure loving pup, Zero. They also share a space with a sweet kitty named Willow, who isn’t quite as thrill seeking, but is the perfect balance to their home. In her spare time, Kristin enjoys hiking, camping, disc golf, acroyoga, cooking vegan meals, and spending time with family and friends. Ashley is 27 years old and local to Charlotte. Ashley’s love for animals started at a young age. Ashley’s mother worked at an animal hospital and as a young girl she would beg her mother to take her to work so she could pet the animals. 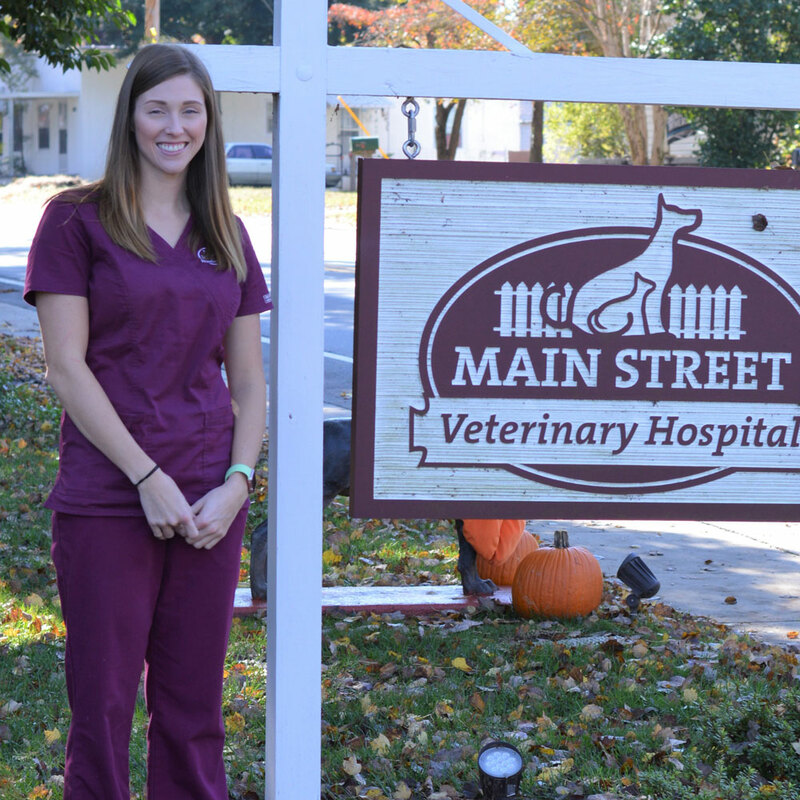 Along with being a proud member of the Main Street Vet team for the last 2 years, Tessa Peerbolte enjoys working with both domestic and wild animals. She is a consistent volunteer at the Karen Beasley Sea Turtle Hospital, North Carolina Raptor Center and Animal Rehabilitation of the Carolinas. She has also rescued 2 Havanese dogs, (Jax & Cricket) and a Degu named Loki-Boots. 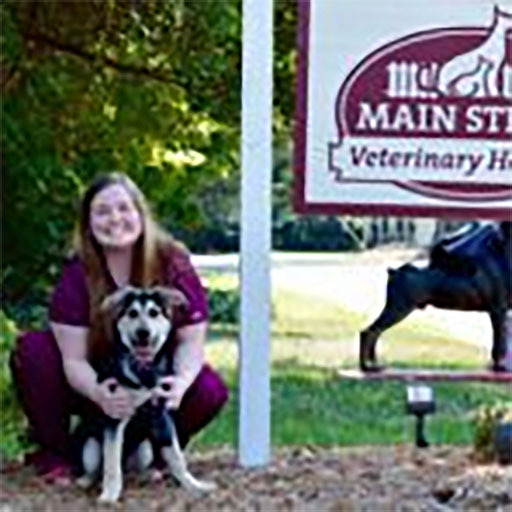 Tessa is currently an early college student with plans to continue her collegiate education to become a Veterinarian..
Born in North Carolina, Natalie joined our team as a receptionist and kennel assistant in May 2018. She graduated from Western Piedmont Community College with her Associate of Arts Degree and is currently working towards her Bachelor’s Degree in Business at UNC Charlotte. She comes to us from One Lucky Pup Inc. where she was a handler and office assistant. Natalie has always had a passion for animals, no matter how big or small! She has 2 dogs, a rescue Border Collie mix named Porsche and a German Shepherd named Audi. In her free time, she likes to go on the lake, read, spend time with friends and family, and loves to travel any chance she gets! 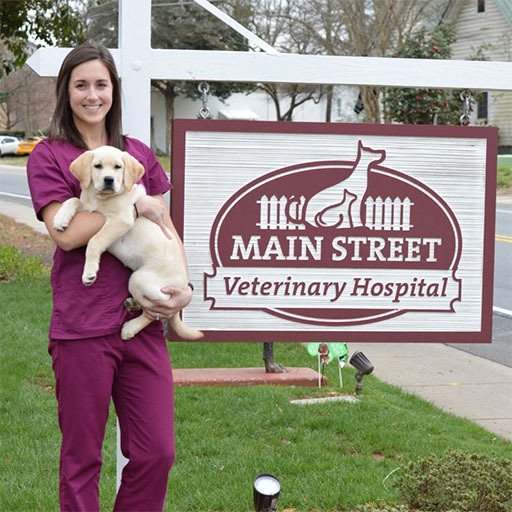 Alyssa Shepherd has been working in veterinary medicine since moving to the Charlotte area in 2003. A lover of both cats and dogs, Alyssa’s favorite element of working in animal medicine is forming bonds with clients and understanding the personal relationship they have with their pets.In her free time, Alyssa enjoys traveling, spending time outdoors, and watching football (Detroit Lions and Ohio State) with her husband and high school sweetheart, Jake. Alyssa and Jake’s fury family includes two dogs (a terrier mix and a pit bull), a three and a half legged indoor cat, and two outdoor cats that appear to have adopted them, rather than the other way around. 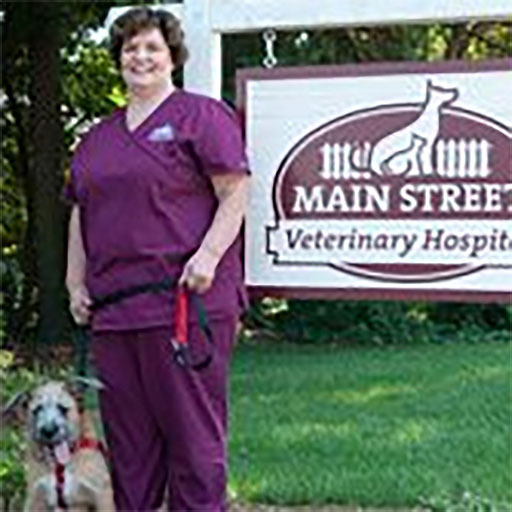 Toni brings her passion for the human-canine relationship to Main St. Veterinary Hospital with over 35 years of dedicated customer service experience. She is a Certified Professional Dog Trainer and an American Kennel Club Certified Canine Good Citizenship Evaluator. Toni has recently also become Fear Free Certified to better help the patients and their families to have a kinder and happier experience while they visit us at the hospital. Native to Pennsylvania, Toni now calls Mooresville, NC her home. During her free time, she enjoys going on long walks, swimming, exploring new locations in North Carolina, sewing, reading as much as she can about Dog Training and hanging out with her family which includes 3 grown children, 5 grandchildren and her sweet dog, Enzo. Growing up, Cassandra’s family always had pets in the home which spurred on her love for cats and especially dogs. She moved to North Carolina from Tampa, Florida in December of 2010 and absolutely loved the area; she and her husband Erik, decided to buy a home and invest themselves into the community. Some friends even call them “Mr. & Mrs. Cornelius”! 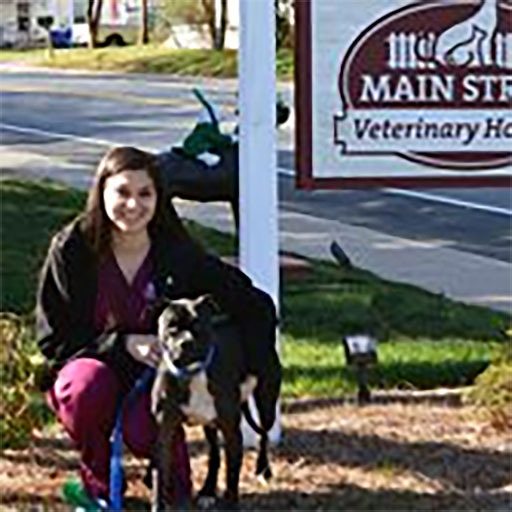 Cassandra graduated with a B.S in Business Administration from Western Governors University and enjoys using her education to assist Main Street Veterinary Hospital as a receptionist. When Cassandra isn’t at work, she enjoys trying local restaurants, going to art & cultural events, traveling and paddle boarding on Lake Norman. Her fur-babies, Kade and Charlie, are the best addition to the family she could have asked for. 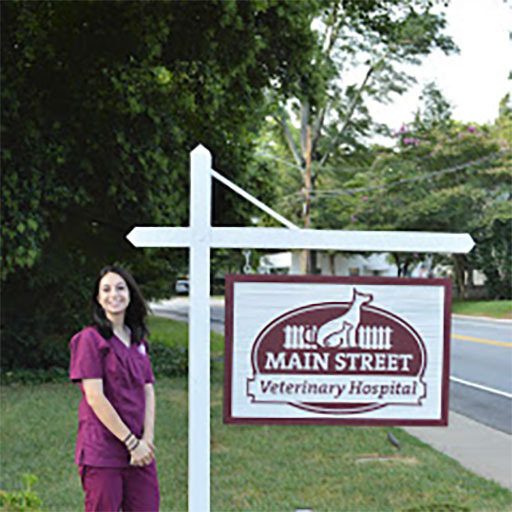 She is looking forward to connecting with Main Street Veterinary Hospital’s clients and growing relationships within the community. And Last, but not least our loveable, huggable mascot: MUGSY!